Getting into the Halloween spirit around here! I am officially off of hiatus and you can expect a wonderful plethora of spooky, creepy, haunting posts around here for the whole month! 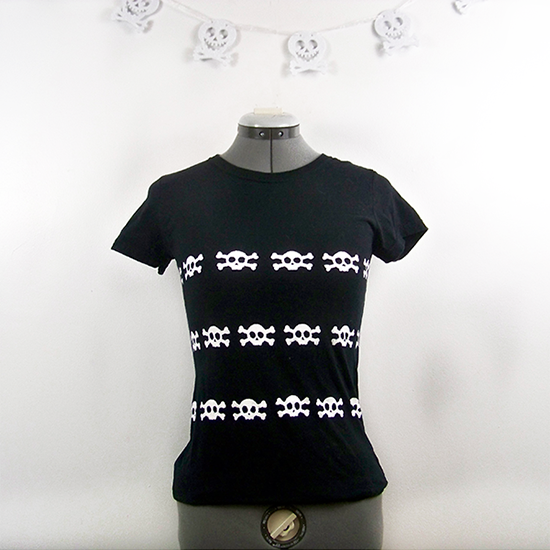 Starting off we've got this lovely shirt I DIY'd when I realized how many of my skull adorned clothes I'd recently outgrown- late growth spurt? Anyway, if you need something festive to wear that's not a costume you can always just add a little creepy to a normal outfit and this project is perfect for that! Too cute right? It's such an easy look to achieve.You can find the full tutorial over at my other home- Dream a Little Bigger. Need an accessory to go with your new skull top? 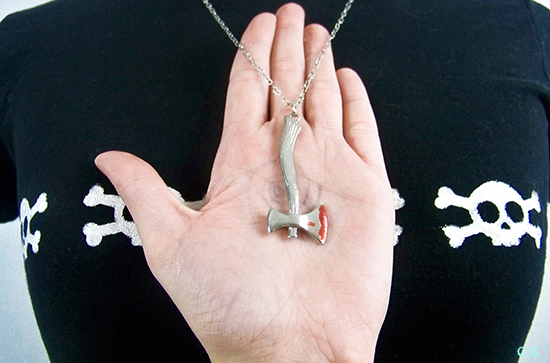 Check out my tutorial for this bloody ax necklace here!